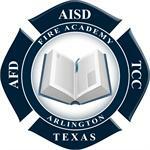 Donations help to buy equipment and supplies for the AISD Fire Academy and to help with the cost of the Graduation Banquet for the students. Donations help provide supplies and equipment needed to sustain the Fire Departments CPR program. Donations provide funding for Fire Department Community Programs such as the Vial of Life and other Public Education supplies.